= Ariocarpus bravoanus subs. hintonii f. monstruosa rubra hort. Accepted Scientific Name: Ariocarpus bravoanus subs. hintonii (Stuppy & N.P.Taylor) E.F.Anderson & W.A.Fitz Maur. Description: Ariocarpus bravoanus subs. 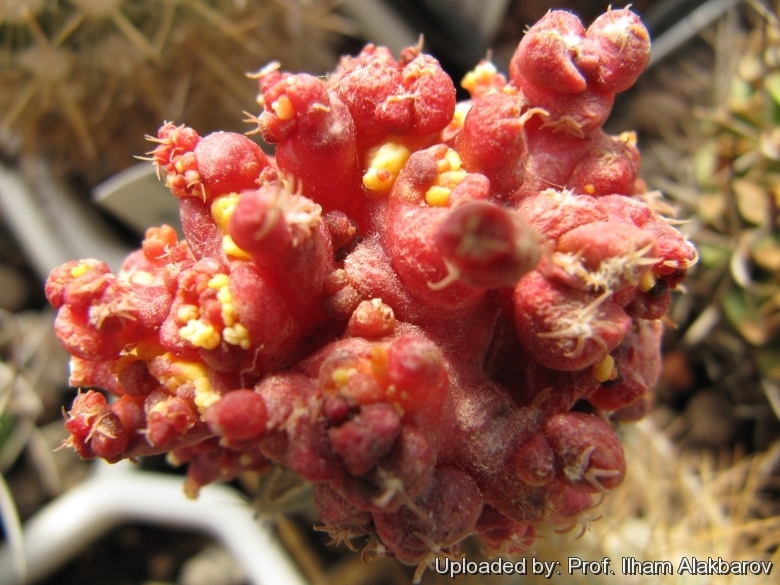 hintonii f. monstruosa rubra is an odd monstrous mutant forming tangled clusters of soft rubbery textured red stems, only a few centimeters across and the plant looks more like a red marine species or a coral than a cactus. This cultivar shows many growing variations with different monstrous shapes. Cultivation and Propagation: Variegated and albinous cacti are regarded as choice and difficult in cultivation, but despite that many of them are relatively easy to grow. But be aware that they cannot tolerate prolonged exposure to direct sun light (especially during the hottest summer days), so grow them in half-shade or under filtered sun. They are sometime seen as grafted plants, but many grow well on their own roots, too.